The benchmark CFR import price of 62% iron ore fines at China’s Tianjin port added 0.2% to $123.50 a tonne on Tuesday, a level last seen July 8 and down 8% since the start of the year according to data supplied by The Steel Index (TSI). Benchmark prices averaged $135 a tonne last year. Free-on-board prices from Brazil fell the most and are down more than $10 over the last week, falling below the psychologically important $100 a tonne level to $99.26 on Monday, while Australia’s export price also lost ground to $114.36. Australia supplies more than half of Chinese imports with Brazil 19% followed by South Africa at 5%. 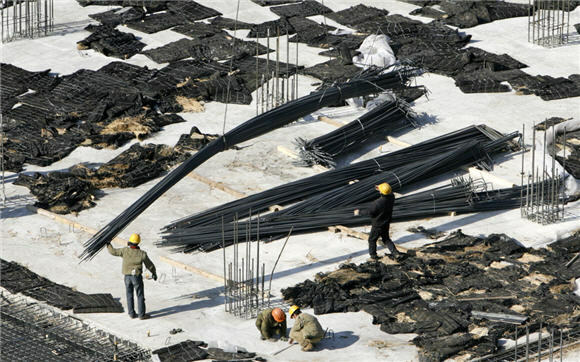 Research house Capital Economics point out that “as a key source of local government revenue and employment, [China's steel] sector is politically sensitive. As a result, steel production is unlikely to fall sharply,” adding that as high cost producers are driven out prices could pick up again in 2015. TSI’s price for premium hard coking coal (FOB Australian east coast exports) reached a high of $172 a tonne in February last year, but then hit multi-year lows in July at the same time iron ore price slumped, before recovering. Thursday coking coal was back below July’s lows at $130.80 a tonne on Thursday.